D.O., Im Si Wan, and Uee – idols turned actors that have set the precedent for idols entering into the acting realm. While 2016 has presented us with excellent K-Pop groups, it also proved that idols expanding their field of expertise into acting may not be such a bad idea. Here are five idols who have showcased their unknown acting talent and changed the game in 2016. SHINee‘s leader Onew made his acting debut in the popular drama, Descendants of the Sun. Onew portrayed the character Lee Chi Hoon, a first-year resident of Thoracic Surgery who decided to travel to Urk, a fictional war zone, before having his first child. Throughout Onew’s acting, you can see the growth of his character as he learns lessons of life and medicine along the way. Preview Onew’s acting in this scene below! After School and Orange Caramel member, Nana, made her Korean acting debut in the drama The Good Wife, which is an adaptation of the American TV show, The Good Wife. It holds the title of being the first Korean re-make of an American show. Nana’s character, Kim Dan, is a prosecutor in the MJ Law Firm as well as the first character on Korean television to be bisexual. Nana was even dubbed as “the next Hyeri” by fans because of her acting talent. Witness her acting, in this clip below! Amber of f(x) depicted Joey Jung in tvN‘s adaptation of Entourage. Although the drama was met with mixed reviews, Amber did a great job of assisting veteran actor Jo Jin Woong who plays Kim Eun Gab or as Joey affectionately titles him, Boss. In the clip below, Amber showcases Joey’s cool, laid back personality. BTS has had an amazing year, especially with their “Album of the Year” win at the Melon Music Awards. 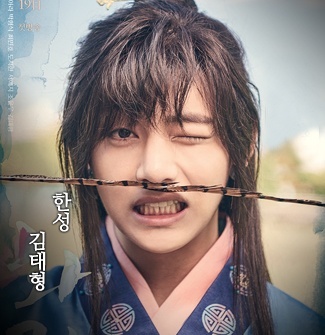 V capitalized on that by starring in his first drama Hwarang: The Beginning. In the drama, he plays Han Sung, the youngest of flowering knights. Although V has no prior acting experience, the director was excited to cast him due to his bright personality. EXO member Xiumin made his movie debut in Seondal: The Man Who Sells The River. In the movie he plays, Gyeon, the apprentice of Seondal, the leader of a team national team of con-artists. With plans to sell the river, who knows what sort of chaos will ensue? 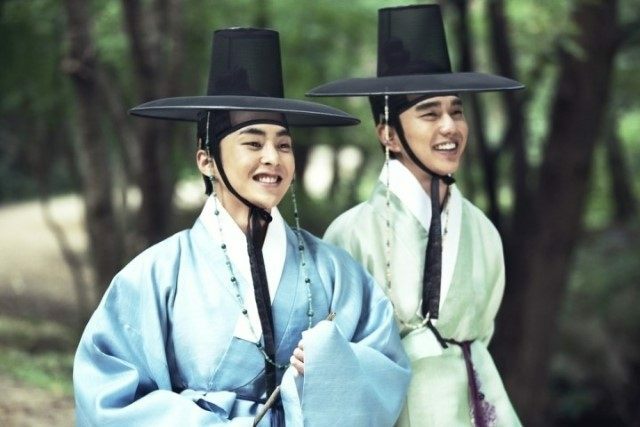 Check out Xiumin’s acting below! Which idol actor have you had your eye on? Who do you hope makes their acting debut in 2017? Let us know in the comments below!